This Bronco is perfect. When I asked the owner about it, he beamed with pride, and gave me his fantastic tale of ownership. He bought it when it was two years old and will never sell, in spite of his wife’s protests. 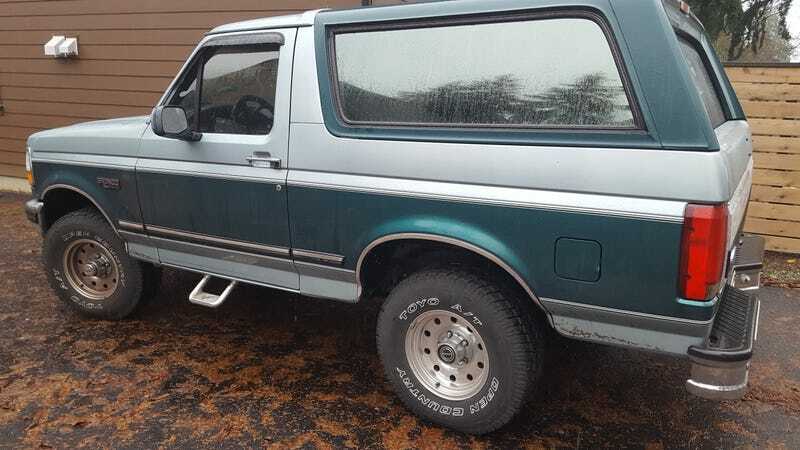 Doubly awesome the man is doing very, very well for himself but DDs this same Bronco.